Dina is using Smore newsletters to spread the word online. Winter weather exposes workers to cold temperatures, high winds, snow or sleet, icy conditions, and the risk of frostbite, hypothermia and slip/fall injuries. Water repellant outer garments and waterproof /insulated boots. A hat, scarf, and mittens or gloves in extremely cold weather. Be aware of the wind chill factor – the temperature that it “feels like” outside due to the combined effect of low temperature and wind. Keep dry - change out of wet clothing. It loses heat and the ability to insulate rapidly. Limit time outside on very cold days - move to warm locations during breaks. Frostbite: Cool, cold, white/pale skin on the fingers, toes, ear lobes, & tip of nose. Hypothermia: Uncontrolled shivering; memory loss/confusion; difficulty speaking; loss of coordination; difficulty performing tasks; drowsiness & exhaustion. Move victim to warm location. Remove wet clothing, put on dry clothing and wrap the victim in a warm blanket. Warm the center of the body first by giving the victim a warm, non-alcoholic drink provided the victim is conscious. Do not rub/massage frostbitten skin. Seek professional medical assistance immediately. Spread salt, sand, deicer, or cat litter on icy patches. Avoid taking shortcuts - stay on sidewalks and cleared paths. 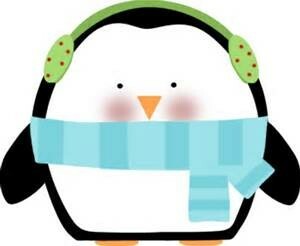 When snow is falling and temperatures are dropping, remember to BUNDLE UP and do the PENGUIN SHUFFLE!